Memorial Day is a day to remember those who have died serving our country, but it is also a day that marks the beginning of summer and the vacation season. School is out, people flock outdoors, and cooking on the grill never sounded better. This is my favorite barbeque sauce recipe. I have made it so many times that I don’t always follow a recipe. Even with a little variation, it always turns out delicious. Many people like the convenience of prepackaged sauces; however, they are not only inferior in taste, but are also full of a wide variety of chemicals, additives, preservatives, and excess sugar and salt. Don’t be intimidated. Make your own, and taste the difference. First prepare meat by trimming away any excess fat. Combine all the ingredients together (excluding the sherry), adjust the amounts to personal taste, bring to a boil, now add the sherry (this helps to keep the flavor), and simmer for at least an hour. 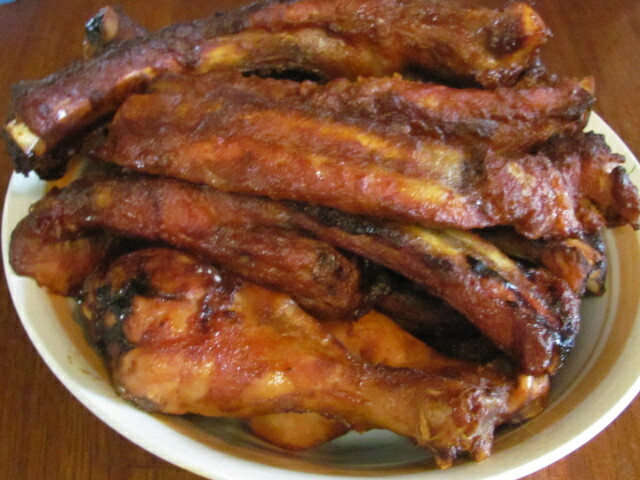 Use half the barbeque sauce to marinate the meat for at least 4 hours or overnight. Save the rest of the sauce to baste while cooking and for the finished meal. If grilling ribs, cook meat slowly on low heat. The best things take time. The meat could be cooked in 1-2 hours, but it would be ideal to slow-cook it for 2-4 hours. Meat is done when it reaches an internal temperature of 150 degrees for pork and 165 for poultry. Spring Cleaning, Not Limited to Houses. This post is inspired by Paul Pitchford’s Healing with Whole Foods. It is my intention to share his philosophy of nutritional health and the unique properties of individual fruits, vegetables, nuts, seeds, herbs, and more. I highly recommend this book for anyone wanting to personally explore nutrition. During springtime, the diet should be the lightest of the year and contain foods which emphasize the qualities of spring. Sweet and pungent flavors are recommended. 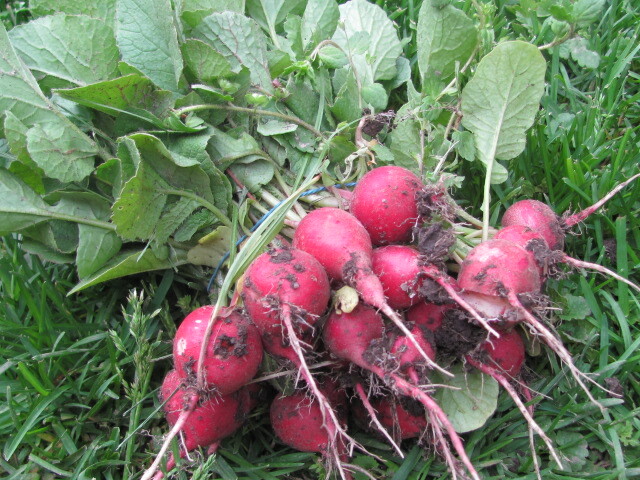 Young beets and carrots thinned from the garden, fresh greens, and sprouts are appropriate and delightful. We naturally eat less, or even fast to cleanse the body of the fats and heavy foods of winter. Heavy foods tend to create a clogged, stagnant liver resulting in spring fits, fevers, mental fogginess, and lethargy. Food preparation becomes simpler in the spring. (Save the energy usually spent cooking meals.) 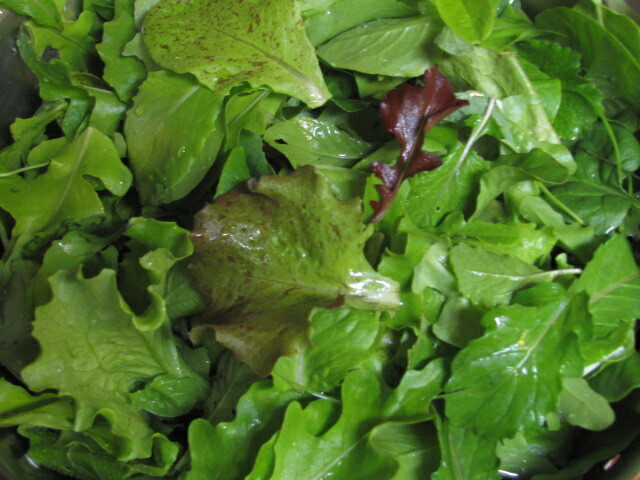 Raw and sprouted foods should be emphasized, as they cool and cleanse the system. Before the use of fire, man was extremely active physically, generating abundant heat; thus, early people found balance in the cooling effects of raw foods. Our genetic makeup has not changed, and experiencing primal biological states is necessary for rejuvenation. During warmer climates, and in times of great physical activity, increase raw food consumption. 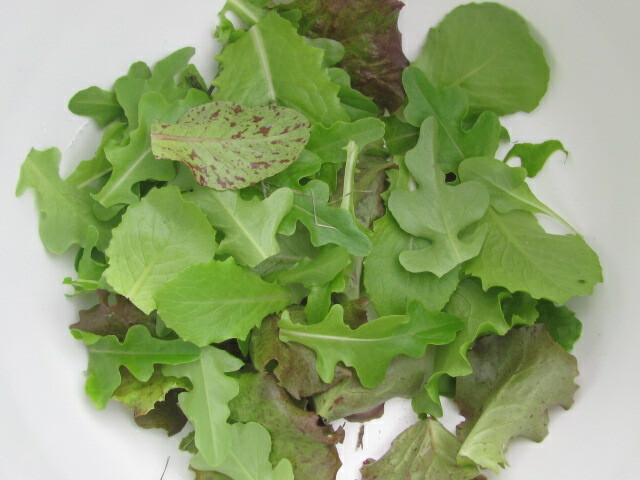 Most people do well eating some raw food daily, with an increase in spring and summer. Nevertheless, moderation is recommended because uncooked foods eaten in excess can weaken digestion, trigger excessive cleansing reactions, and cause bowel inflammation. Raw foods should be used cautiously in individuals with weakness and deficiency. Most people living in temperate climates, including the United States and Europe, need to cook the majority of their food in order to maintain climatic and digestive balance. In spring, food is best cooked for a shorter time at higher temperatures. A high temperature steam or quick sauté method is optimal because the food is not fully cooked. Chemicals, intoxicants, denatured food, and too much fat disrupt the delicate biochemical processes of the liver, resulting in a myriad of physical and emotional problems. The liver stores and purifies blood. However, if the liver becomes stagnant, due to excessive toxic substances, blood purification may be inadequate. Traditional Chinese physiology tells us that a healthy liver establishes a smooth and soothing flow of energy through the whole person, body and mind. When the body is harmonious there is never stress, tension, anger, or agitation. Except in instances of malnutrition, eating less is the most helpful remedy. One should eliminate hydrogenated and poor quality fats (margarine, shortening, rancid oils), excessive nuts and seeds, chemicals in food and water, prescription drugs (with physician approval), all intoxicants, and highly processed, prepackaged foods. Foods that stimulate the liver out of stagnancy include the pungent herbs and spices listed above. Some anti-stagnancy foods that are not pungent are: beets, strawberries, peaches, cherries, chestnuts, pine nuts, cabbages, turnips, kohlrabi, cauliflower, broccoli, and Brussels sprouts. Bitter and Sour foods detoxify the liver, removing harmful environmental toxins that build up over time. Vinegar flushes the toxins out of the liver, improving its natural blood filtration processes, and thus, amplifying energy levels. Choose quality vinegars such as apple-cider, brown-rice, and rice-wine. Lemons, limes, or grapefruits are also bitter/sour, cooling, and cleansing. 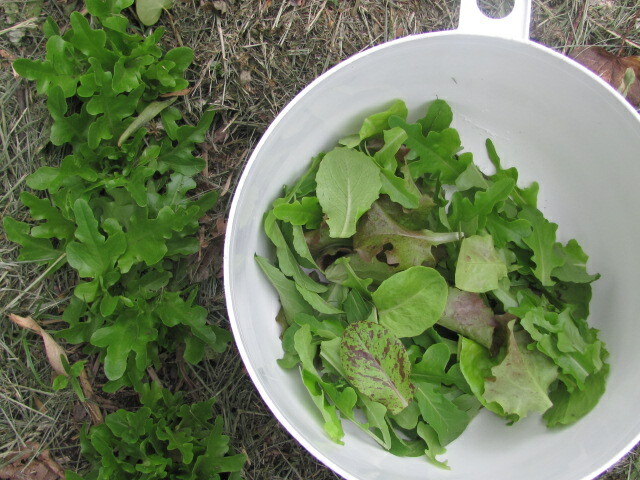 Other helpful bitter foods are lettuce, kale, collard greens, radish, dandelion, and chamomile. In Paleolithic times, most humans existed on animal meats and fats. They consumed very little carbohydrates, ate minimal amounts of fruits, nuts, and wild edibles that were available seasonally. When food wasn’t abundant, humans fasted. Except in cases of deficiency and malnutrition, most people will benefit from a brief, detoxifying, cleanse or fast. I hope this spring brings you a renewed sense of vitality and clarity of mind. Is there really such a thing as a paleo baked good? According to followers of the paleo lifestyle, we are to eat like our ancestors for optimal health. Surely no hunter gatherer indulged in baked goods. Chances are, if my life depended on physical labor, I would opt for the easiest way to obtain nourishment, and eat the food right from the source, in its most natural state. For the majority of human existence, during ice age conditions, man relied heavily on fat, proteins, nuts, seeds, vegetables, seasonal fruit, and very little starch. Our bodies’ genetic material, organs, and digestive tract have not changed dramatically since then. According to Nora Gedgaudas CNS, CNT, author of Primal Body,Primal Mind, carbohydrates are the only macronutrient for which there are no requirements. However, we as humans, like many other species, have an attraction for sweetness. Originally this attraction for sweetness may have been evolutionary. While there may be exceptions, typically wild edibles containing fructose are non poisonous. The craving for sweetness in the present day may be a mixture of our ancestral heritage, culture, and habit. Personally, I grew up eating an abundance of sugar and processed snacks, and it took a great deal of self control and persistence to eliminate this kind of food from my life. Dr. Robert Lustig, in my opinion, provides the best explanation for why we crave sugar. It is important to be able to provide healthy alternatives to conventionally unhealthy food items. Furthermore, the paleo muffin may be a wonderful transition food for a person used to carbohydrates and baked goods. Let’s take a closer look at the nutrients in 100 grams of almond, wheat, and rice flour for comparison. When one compares the nutritional value in paleo muffins versus conventional and gluten free varieties, the results are alarming! Most gluten free flours containing rice flour, are actually high-glycemic, and inferior in nutritional value to white flour. Almond flour has the most nutrients, is high fiber, high protein, and low glycemic. Not only is our muffin a healthier option, but the taste and texture is indistinguishable to a conventional muffin. The winner, without question, is paleo muffins from Feed Your Vitality. 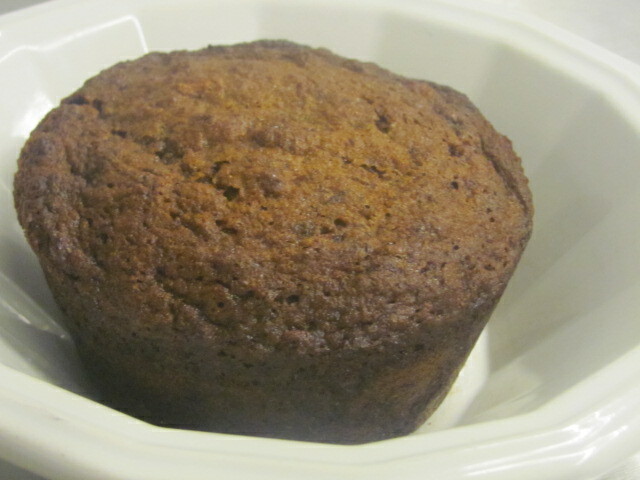 Paleo Muffin offered at Feed Your Vitality.